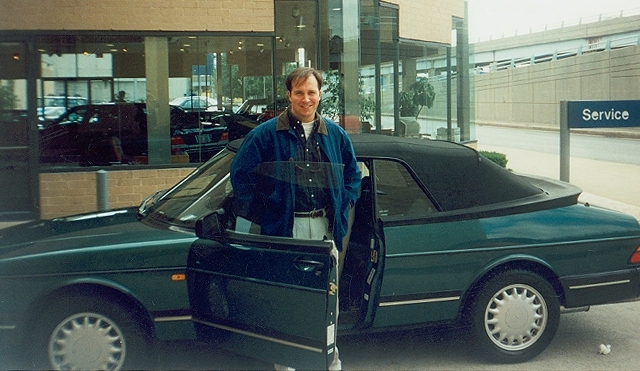 Picking up my new Saab in October, 1995. That service sign was an omen. The news that Saab is likely disappearing from the automotive landscape is devastating to the legions of enthusiasts who worship their quirky Swedish cars. The company is falling into bankrupcty, and efforts to rescue it have been exhausted. Here is an excerpt from a report in today’s New York Times, that pretty much sums it up. I was once part of that loyal base. 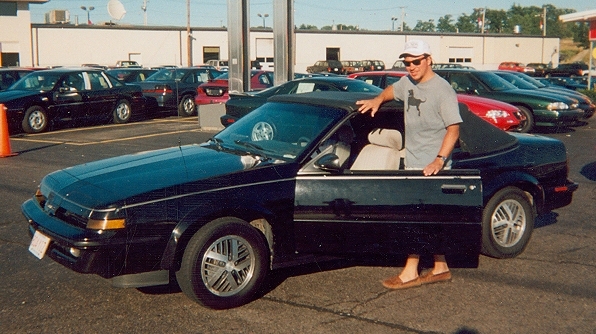 Back in the fall of 1995, I decided it was time to trade in my 1988 Pontiac Sunbird GT convertible. I loved that car, but with 155,000 miles on the odometer, and a tear in the top that my mother repaired with industrial thread, it was time to part with a car that had been with me through television jobs in Illinois, Michigan, and now Connecticut. I decided to “upgrade” to a Saab, a brand I had long coveted for its coolness and understated luxury. 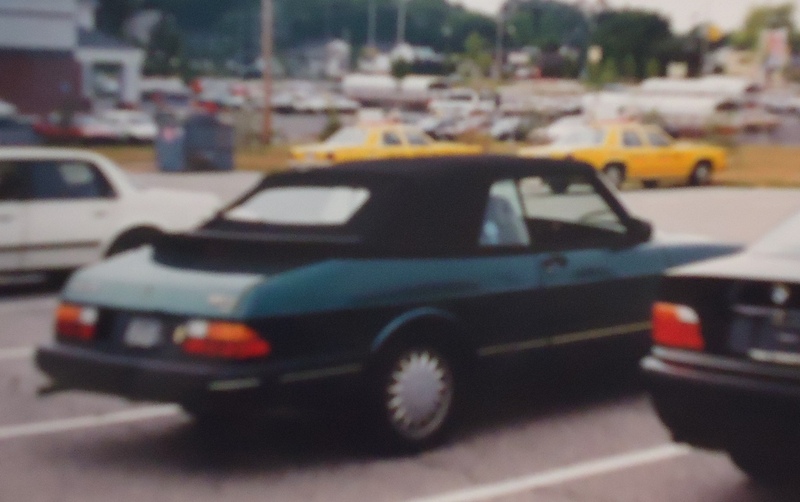 Once at the dealership, I picked out a eucalyptus green Saab 900 convertible. Like the thousands of Saabophiles, I loved that car, and experienced that feeling and attitude I had been told was unique to Saab owners. The love affair with my car went on for about 3 years, even though deep down I acknowledged the Pontiac was probably the better car. 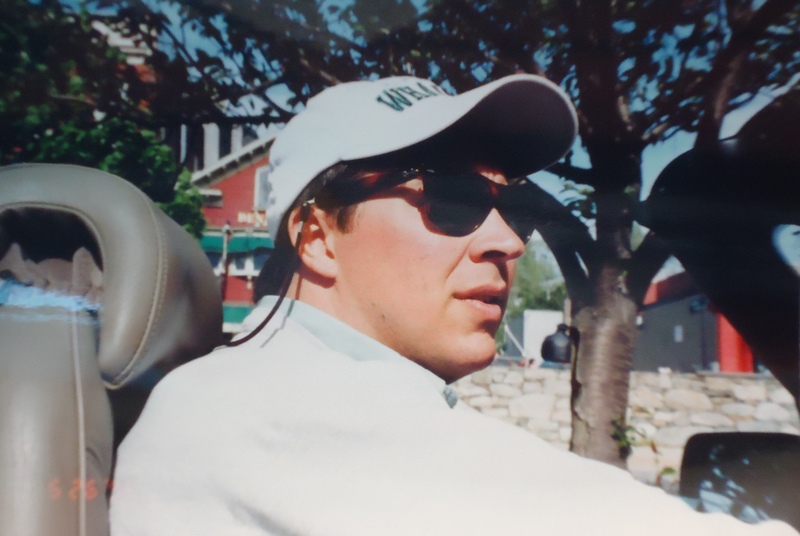 I didn’t like that the Saab didn’t have cup holders, wasn’t as responsive in turns as my Pontiac, and I wasn’t a fan of the ignition near the shifter which seemed to be nothing more than a receptacle for dust, crumbs, and spilled coffee. It was about 50 thousand miles into owning the Saab, when my passion for the car began to turn to frustration and strong dislike, which later turned into unbridled loathing. Little things started to go wrong with it, and while they may been “little,” the bills to repair them were big. Each problem seemed to cost about $700 to fix, although there were a few that topped a grand as I became a familiar fixture at the Hoffman Saab dealership in East Hartford. I grew increasingly irritated at a car that I enthusiastically dumped my old Pontiac for. The sticker price on my Pontiac was almost half that of the Saab, and had been approaching 160,000 miles with no major problems. Zero. Routine maintenance was all that “less prestigious” car ever needed. My Saab situation had become an unhappy one, so much so it became a running joke among my friends. 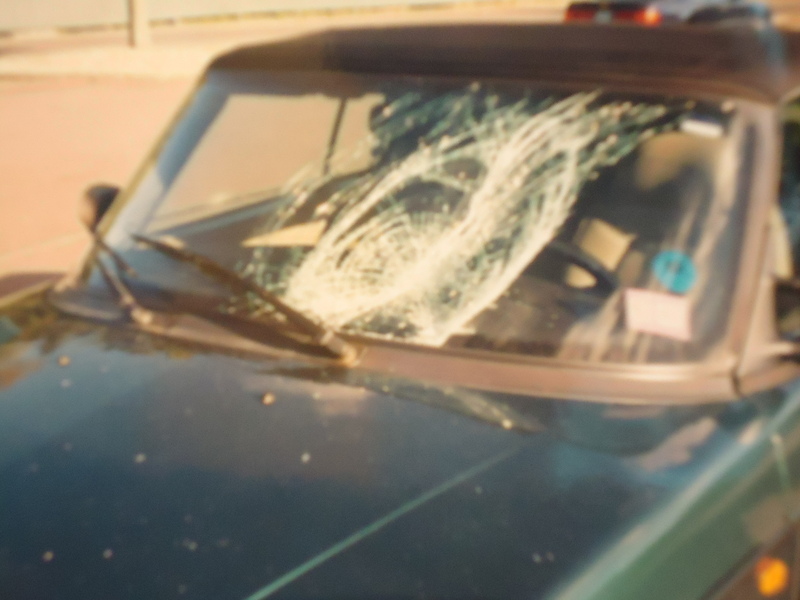 During all of this spate of unreliability, the car was vandalized in a parking lot…the windshield smashed. A few months later, it broke down on Route 9 in Higganum and had to be towed to Hoffman’s, making me late for work. That was another costly repair. Just a few days later, came the final straw. The car wouldn’t start, had to be towed again, and the ignition, I mean crumb receptacle, had to be replaced. AAA was loving me that year. I had sunk so much money into the car, I felt for a moment I should keep it, hoping its annus horribilis was over. I ended up trading in the Saab without hesitation or regret, never to buy another. I can say without hesitation, it was the worst car I ever owned. Even so, I hate to see Saab go, while so many bland nameplates without the rich Saab history remain in the marketplace. I feel badly for the people who love their Saabs, like WNPR’s John Dankosky and Channel 3’s Dan Kain. There are websites, forums, and fan groups. Do you think people sit around and chat about the their Camrys like passionate Saab fans do? Of course not. The demise of Saab is also tough news for Sweden. Saab was a source of pride for all of Scandanavia, and with Volvo now Chinese, it means the end of the Swedish automobile industry as we know it.